Caring for an older adult can be a difficult and isolating experience. A great way to reduce stress and not feel so alone is to join a caregiver support group. On Facebook, there are many private groups dedicated to families who are caring for older adults. They’re completely free and allow you to get support, vent, or ask questions anytime – day or night. If you use a smartphone, you can participate no matter where you are. We rounded up 11 top Facebook support groups for caregivers, describe each group’s focus (dementia, general caregiving, parents, etc. ), and explain how to join. These 11 caregiver support groups are “Closed Groups,” which means they’re all private. You can feel safe posting or commenting because your activity inside the group will only be seen by other group members and won’t show on your personal Facebook page. Your Facebook friends would only see your group activity if they were also a member of that group. Sign in to your Facebook account. If you don’t already have an account, it’s easy to set one up. Here are tips on signing up. Go to the Facebook group you’d like to join (links included below). Click the “Join Group” button to send a request to the group administrators. Wait to be admitted into the group – check the page later if you don’t get a message or notification. Check the Description section of the group page to find out what it’s focused on. Some groups include special instructions to join or community guidelines in this section. In the below image of a support group’s Facebook group page, you’ll notice: 1) it’s a Closed Group, 2) the green “Join Group” button, and 3) the location of the description, click “See More” to see the whole description. Each of these group names is linked to the group page on Facebook. We’ve also included information from the descriptions so you’ll know which topics each group focuses on. Memory People was founded by Rick Phelps, who was diagnosed with Early Onset Alzheimer’s in June of 2010 at the age of 57. MP is an Alzheimer’s, dementia, and memory impairment support and awareness group. We are patients, caregivers, advocates, family members and professionals sharing our journeys with each other, seeking comfort and understanding, and receiving support and helpful information. We share about the reality of dementia and memory impairment, and through support and education we find the ability to take another step each day in this journey. We welcome anyone, even if you’re not directly touched by dementia or a memory impairment. You will find knowledge and awareness here. We are here for caregivers taking care of Dementia and Alzheimer’s afflicted loved ones. Designed to stimulate conversation and ensure all members a safe haven in posting personal feelings. Hello and welcome to Alzheimers and Dementia Caregivers Support. We are all here for the same reason: to support one another through such trying times. Welcome to Caregivers Connect, a community created to bring a voice to family caregivers, and related care-industry professionals, who are caring for a parent, spouse, or loved one. We share personal experiences, advice, and stories with one another in order to provide support along each of our journeys. Whether you are a caregiver, have been a caregiver, or know a caregiver, we hope that you can find some inspiration, and helpful resources along the way. This group is sponsored by GreatCall. Our turn to parent: helping our elderly loved ones negotiate the world is the hardest job we’ve ever undertaken. As we learn to cope we share info, vent our frustrations, and share support. Are you providing care for someone who is elderly, ill, or disabled? Join our supportive community of spousal caregivers. This is a private space for all caregivers to connect. Both family and professional caregivers are welcome. CaregiversAssist Support Group is an online community of dedicated caregivers. The purpose of this group is to share best caregiving practices and learn how to live the Caregiving Lifestyle. The Caregiving Lifestyle is the excellent care for our loved ones, help and well-being for the caregiver and an engaging and enriched life for both. This is a support group intended to be a private setting for all of us Caregivers to express our thoughts & feelings. 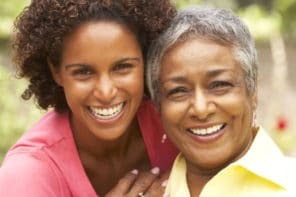 This is a space for women who are balancing caring for an aging parent with their career and the rest of their life. Join us for community, support, encouragement. Share your questions and your best advice. How To Cope With Elderly Parents…This is a group where we can vent, give ideas on how to handle taking care of our elderly parents! This is a safe place to discuss the day to day care of a “narcissistic loved one”. A free place to vent and offer help and support of what we are going through. Where can I leave a question. It is after midnight and I should be in bed. Tomorrow I have to go out of town to attend a 9 AM Monday morning with my sister where I’ve evicted her from mom’s house. I have mom’s statutory power of attorney and cannot walk and is in a skilled nursing center, the same one as my husband who has end stage COPD. My husband is on Medicaid and is in a hospice. My mom is private pay. Mom’s business landed on me, the eldest, since she did nothing after daddy’s death in 9/65. My sister left home after high school graduation around ’79 and wound up on the streets out of state. Mom always sent her money via Walmart, with several $600 checks being kept by whoever my sister said to send it to so she could get it later. Sis finally got a paid by mom bus ticket home 6 years ago, but on the way back home she found, at a stop in CA somewhere (she lived in Washington State) and screamed she was hungry. APS got called, fed her and she was on her merry way home back to Texas.. My husband and I picked her up near the downtown Dallas bus station. I needed to use the McDonald’s restroom and I happened to be the person right behind her. She was so unkept I never gave her a glance until i mentioned her name. Long story short, she was put on another bus to go back home to mom but declared she did no housework and rescued dozens of cats into mom’s home without her permission. Never cleaned up the inside poop. Will not go to MH/MR as she doesn’t want people to think her crazy even though she threatened my mom in her own home about throwing away her hoarded stuff. Mom turns 90 next month. APS has been no help. My own husband has end stage COPD and is dying (mom and he are in the same skilled nursing facility). I have a eviction hearing this coming monday to get sister out to get her hoarded stuff out and remaining raising of cats inside mom’s home against her wishes for the past 6 years. I just want to bulldoze the house, but sis has a right to answer to her eviction. mom has dementia and can’t remember a sentence just mentioned. I’m so sorry this is happening. It sounds like an incredibly stressful and challenging situation. To help evict your sister, you might be able to get legal help from the local Legal Aid Society (low cost or free legal services) or an elder law attorney. Attorneys typically do free consultations, so you could at least find out if they could help and if their rates were in your budget. 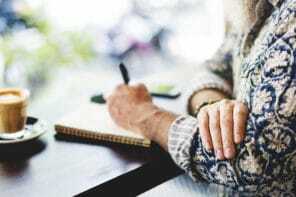 You might also want to contact your local Area Agency on Aging to see if they can connect you with local organizations that could help you. They may also know how to get in touch with your local Legal Aid Society.